Although the red makes the picture on the right stand out more, the labeling and overall unit design is more appealing and easier to identify features to me in the picture on the left. I chose the LEFT because it has Anker in the color splash and I always associate blue with Anker. The one on the right would lead me to believe it was a fake. I went left as I liked seeing the blue inside USB slots, and as previous mentioned easier to imagine it plugged into my car. I don't know if it's my demo graphic, but the blue background is easier on the eyes and also is the color I'm used to associating with Anker products and packaging. Photo on the right. 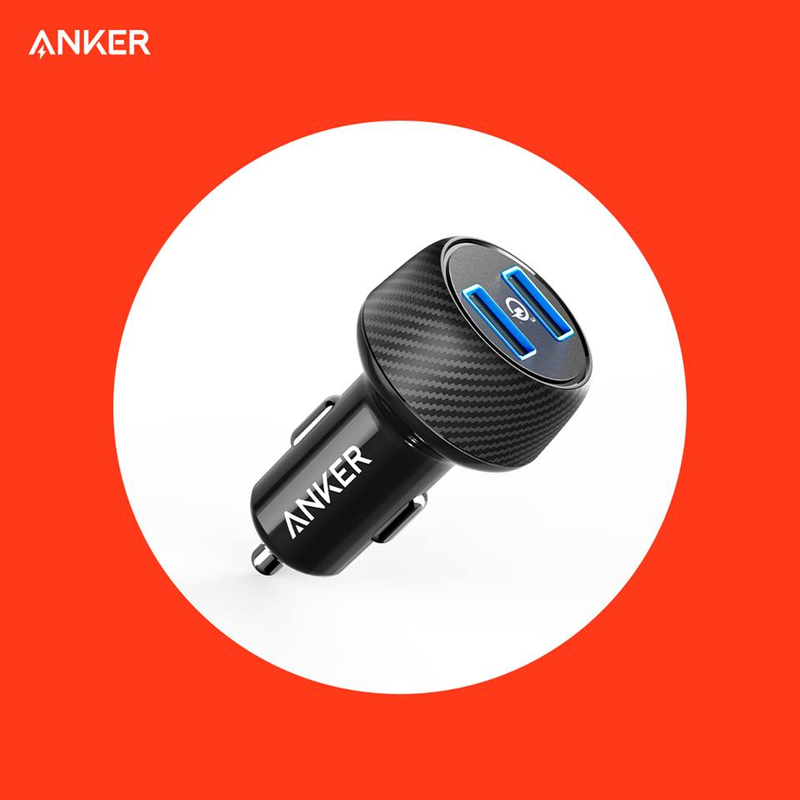 As a pro photographer myself & one that does some product photography, the right photo is a bit more dramatic and shows more detail on the texture of the rim of the car charger. I picked the left one because I get a better view of the product plus red is more of an angry color. The blue one I could look at longer. I voted for the picture on the right. This is probably going to sound weird, but looking at each picture, my eyes naturally go from left to right, it's a more natural feel for my eyes to move upward as opposed to down. Just a more natural feel. If you change the colour of the right foto to blue it is OK. The red is too agressive. I think you need to make a mix of the two pics. 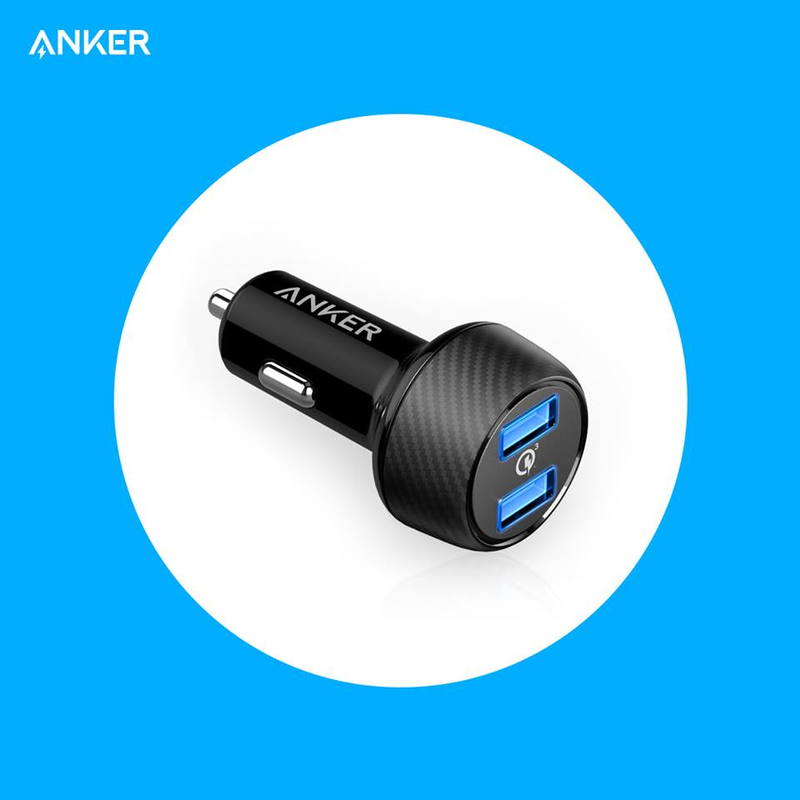 In my opinion the orientation of the charger in the right one is better, but blue is the color of the Anker company and from a psicological view blue is the color of trust. Went with the left since the first I look at when it comes to the product is ports. I already know what brand I want so having the brand be the center of attention wasn't necessary. Also the blue was more pleasing to the eyes and looked more like the brand color compare to red. One of the reasons that I selected the left photo was the word Anker in the top left corner. When I see the post on Facebook the Anker name is in the top corner on both the red and blue photos. Will they be branded as PowerDrive II or still just PowerDrive? And will there be one with dual type c ports? I see red as a impulse and fighting color, and I see blue as a calm and thinking color, Also I think, I can just see the picture clearer in the blue one. The one on the left. Shows me exactly what I’m purchasing. I don’t like angled pictures in advertisements - always concerns me that I may be missing something. Thanks guys! All your feedback has great value for us, I already share this information to our creative team. The design of our new PD car charger will refer to these opinions, and thanks again!